Clematis cirrohosa balearica still flowering under a blue sky this morning. I'm pea green with envy! We're getting another foot of snow! Oh goodness me, we've just had a sprinkling on two occasions, disappeared by the afternoon. 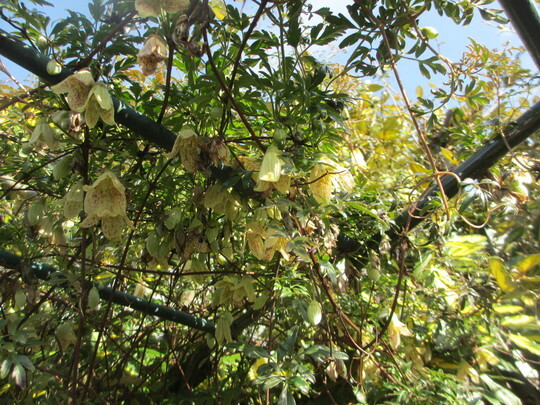 See who else is growing Clematis cirrhosa balearica. See who else has plants in genus Clematis.